Because every succeeding generation has new questions to ask of the past, history is constantly being rewritten, which makes it an exciting, dramatic discipline. Perhaps of equal importance, studying history allows students to develop skills in demand in the workplace. In fact, a recent survey found that employers rank writing, research, critical thinking, and perspective-taking as the most vital skills they hope to see in new hires. These are precisely the skills one develops in the sustained study of history. History majors not only develop as writers, but they also produce a capstone paper inviting them to locate, evaluate, and make sense of evidence. 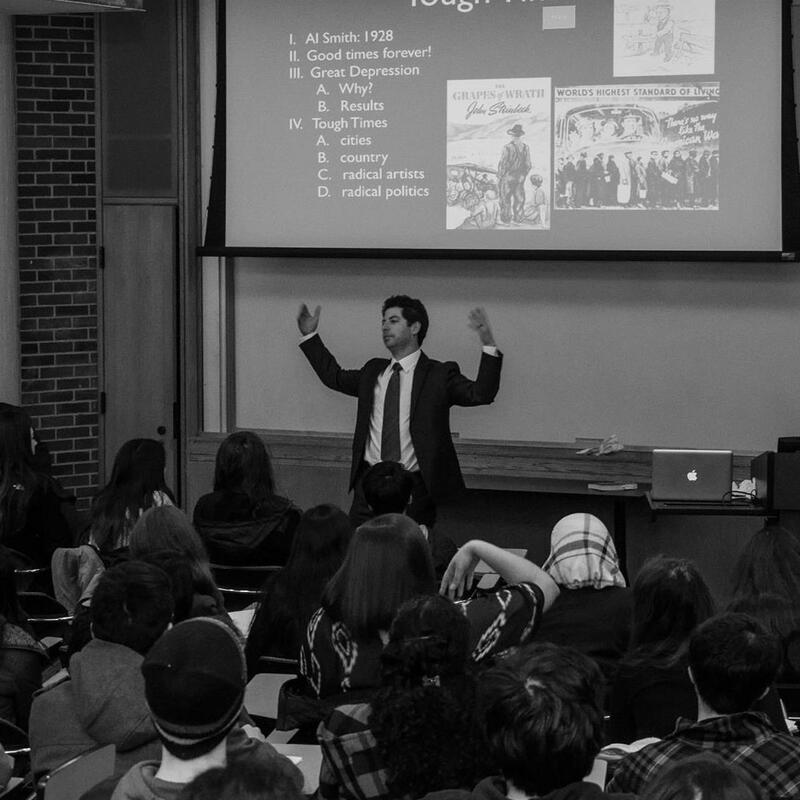 For more on how to articulate the skills you develop as a history major, click here. Meanwhile, the American Historical Association has compiled a fun list of famous history majors. You may also want to take a look at a recent study of “How Liberal-Arts Majors Fare over the Long Haul” in the January 22, 2014 issue of the Chronicle of Higher Education. This study reports that liberal-arts majors have around the same earning potential over the course of their careers as those who choose professional and pre-professional degrees. For internships and careers for History majors, go to this page.